Dechert’s Vertical machines compliment the horizontals because there are many times a job may be a better fit and will quicken the process and time before going to the horizontal operation. Capacity ranges up to 6,000 lbs. with plenty of flexibility. 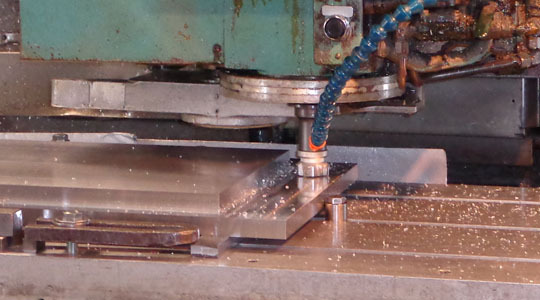 All of the vertical mills have an open table (no enclosures) which helps if a part is too large or awkward to set up, or is long and may need to be move throughout the machining process. – Three Axis Contouring and 30 tool auto load tool changer. – Maximum load 1,500 lbs. – Maximum load 3,000 lbs.